School holidays are usually met with mixed feelings at our household. On the one hand, everyone is looking forward to a break from our daily routine (especially the stressful morning madness, and the rushing around after school and weekends for sports activities). But on the other hand, it also means anxiety of a different kind – what are we going to do for the next two weeks? And…HOW am I going to keep the kids from overdosing on screen time without creating world war three? 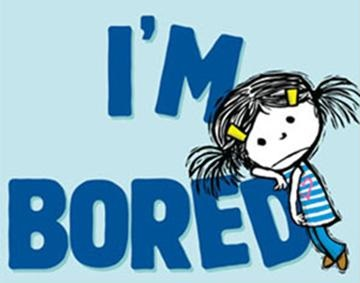 Read on for Five Crazy Ideas we will be doing during these school holidays…. Crazy Idea #1 – Make your own crossword puzzle I know it sounds crazy, which is why it’s my #1 crazy idea, but making crossword puzzles with your kids can be fun. Seriously. But first, let’s get one thing straight. You can’t just come out and say, “Hey kids, I’ve got a great idea. Let’s make crossword puzzles today!” I guarantee, you’ll get blank stares or worse – the evil eye from your too-cool-for-anything teen. Remember. It’s all in the presentation. For example, think about turning it into a crossword swap game, or even better, a craft activity by making a series of themed puzzles to put into a booklet to give to friends. Older kids can get involved too, and if they think making booklets for friends is a lame idea, they can make one for an aunt or uncle, a grandparent, or a younger sibling instead. My daughter is working on a Hello Kitty booklet and is having fun collecting Hello Kitty images and stickers to decorate her puzzles with. And because it’s crafts, this activity can last all morning or afternoon…at least until snack time. And don’t forget to make a stunning cover to complete the booklet! 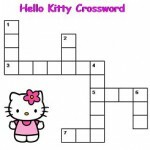 Click here to learn how to make your own crossword puzzle for any occasion using a free online crossword puzzle maker. Crazy Idea #2 – Open up a kids toy store Well – kinda… I don’t know about you, but my kids love going to markets and garage sales. And even though we’re not really out to buy anything, they just love to rummage through the various boxes to see what goodies they might find there. So for this crazy idea, the kids will set up their own toy store/garage sale selling their old toys. 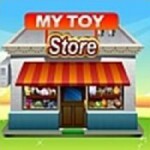 They will be the “shop keeper” and get to keep all proceeds from the sale as well. We’ve held several garage sales and the secret to our success is promote promote promote. Promote with friends and relatives, neighbors, local paper, flyers, etc. Ask local schools if you can put a flyer or notice in their school newsletter or bulletin board. Make invitations for your child to give out to their classmates. And, to ensure success, keep toy pricing under $1. The idea is that other little kids should be able to afford to buy something with their own pocket money and if you price toys too high, that won’t be possible. If you’re really ambitious, you can even throw in a bake stall with a lemonade or cordial stand. Get creative. Have fun. It’s the holidays, after all! Crazy Idea # 3 – Neighborhood Scavenger Hunt We did this for my son’s 10th birthday party since it was only a small party with a few friends. We had the boys complete both brain teaser/riddles as well as physical challenges (with the challenger always being dad). We had them go around the neighborhood and luckily, my parents live down the road so their final clue ended up there, where the wizard (my dad) gave them the final riddle, and they were rewarded with cake and ice-cream. I love activity because the kids can invite several friends over making this a “mini party” of sorts. To make this an all day activity, think about several locations within walking or scooter distance. 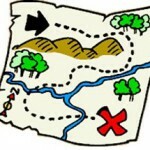 Plan the trail and leave clues a day in advance (without the kids’ knowledge of course). If you live near a local retail strip like ours and are familiar with the store owners, it would be great to have them hold a clue or ask if you can do one of the challenges at their store. Make sure the final destination is a rewarding one, worthy of their efforts – like a picnic at a park, where the “treasure” is a basket of goodies and picnic lunch, an ice-cream store where they get to pick their favorite ice-cream, or like ours – generous grandparents’ willing to host a bunch of loud, excited kids. Happy hunting! Keep your expectations realistic. Only let them paint areas which allows a little room for error (eg., have them paint the entire wall, but leave the edging to you, or they can paint their desk any color they want, even if it’s not your preferred choice). Depending on what you will paint, this project can take more than a few days. Be prepared to live in a bit of a mess. 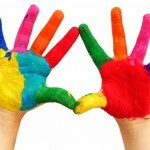 If painting a child’s bedroom, let your child be involved in color choices. If it really offends your sense of style (like fluoro pink or jet black on the walls), perhaps suggest a compromise, like painting an accent wall instead, or even better, use one of the free online designing tools such as http://www.benjaminmoore.com/en-us/for-your-home/personal-color-viewer which lets you upload a photo of your room and view it in different paint colors. As long as you keep things simple, this can be a really fun project for the entire family and return pretty amazing results for everyone to enjoy. P.S. If you have really little ones, PLEASE find a small area or piece of furniture for them to paint and put their own stamp of signature. 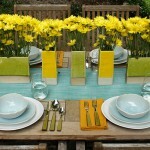 Crazy Idea #5 – Host a Dinner Party This can be as simple as a dinner party for the family, or a little more elaborate to include a couple of friends or relatives. Have the kids decide on the guest list (rule of thumb – the smaller the crowd, the less stressful J ) and the menu a few days in advance. They can then email or hand deliver their invitations. Keep the menu kid-friendly, easy to prepare and simple to cook. Some ideas are spaghetti or meatballs, spring rolls, noodles and fried rice, taco salads or hamburgers and store-bought fries. Dessert can include an easy-bake cake with fruits on the side, or ice cream with fresh berries. Of course, a big part of the fun is laying out the table, so let the kids get creative with a pretty menu card, fancy table arrangements, napkin folding creations from youtube, and fresh flowers. If you have any kids that are not really interested in cooking, they can still play an important role by being the server or the host, refilling glasses, or clearing dishes away. With such a busy schedule, we rarely have time for a nice, sit-down meal as a family, but simple pleasures such as this always reminds us of the value of family-time. And don’t forget to finish the evening off with a game that everyone can enjoy, such as our family fav – UNO! So there you have it. Five crazy things my family will be doing over the school holidays. Do you have any ideas of your own? If so, we would love to hear from you. Please share with us below or visit us on our Facebook page. When my kids were younger, I was ALWAYS looking for ways to fill those wonderful days off from school, while hoping at the same time to avoid the inevitable fights over “screen time”. You’ve hit on a wonderful concept here and your “crazy ideas” are great. Keep up the good work! Hahaha! Marlene, I know you totally understand! Thanks for your kind comments! Awesome website puzzle mum, I love those ideas and will put them into action these upcoming holidays. I took particular note on how to convey this to the kids..lol. There one thing I do with my son and that is spraypaint art, he absolutely loves it. You can create some awesome pictures, with a few simple tools..we do in a well ventilated area and we were masks of course. Thank you for the ideas. Craig, I never thought about spray painting. I know the kids would really love to use the spray gun but I always wondered if there was a safe way to do it. But my sister found this wonderful milk paint and I might try using that with the spray gun to make it even safer. Oooh – thanks so much for the suggestion. I will try this on our paint day and let you know how it goes. What an awesome site, Puzzle Mom! You have some great ideas here for summer (or anytime, actually). I’ve done a few of these in the past but you have added some wonderful twists to the information all over your website. Thanks for the resources. Thanks for the feedback, Allyn. This is the first time I actually get to stay home with the kids, so I am really looking forward to these school holidays and doing these activities with the kiddoes. What an awesome site, Puzzle Mom! These are great ideas for summer (or anytime). We’ve done a few of these in the past but you’ve added so many wonderful thoughts across your entire website. Thanks for this great resource. "Thanks for the sudoku book. We’ve already enjoyed it a lot." "My class LOVES your puzzles and looks forward to them every Friday morning when they enter the classroom. The logic development has been evident in other subject areas." 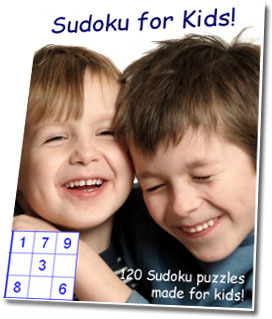 "We are going to use SuKoku Puzzles for lunchtime activities - for when children finish lunch and need to keep busy. Thank you again." Japanese Puzzle Box – The Ultimate Gift for The Kid Who Can’t Get Enough of Puzzles! Techozoic 2.1.1 by Jeremy Clark. | 37 mySQL queries in 0.518 seconds.